Wrap for You: New logo for Wrap for You! New logo for Wrap for You! 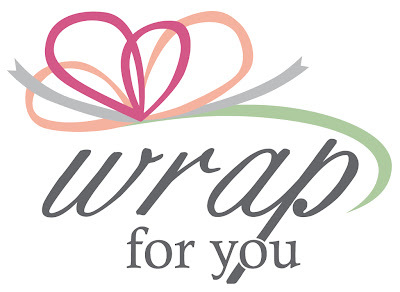 I'm just LOVING the new logo for Wrap for You! Marike of Marike Designs (www.marikedesigns.co.za) came up with the concept when I asked her to use her own perceptions of Wrap for You and create some ideas for me to look at. I didn't want to influence her in any way. Marike sent me 4 different logos to look at but this one jumped out at me right away. We tweaked the bow and the fonts a bit but ultimately, I got just the logo I was looking for. The green stripe underneath the bow symbolises the wrapped gift. The pink heart in the bow symbolises the extra love and care that goes into a gift that is wrapped the Wrap for You Way! I hope that this new logo is a good reflection of my objectives at Wrap for You. To teach people how to wrap gifts professionally, tastefully, creatively and with love and passion. And on that note, my next course on the 18th August is filling up so please reserve your space urgently. The next I Heart Market is on the 4th August so I hope to see you there! Wrap for You now offers gift vouchers. These are wonderful to use toward booking a Gift Wrap course or toward a gift of ribbons and embellishments. They will be available at the next I Heart Market. Until then!